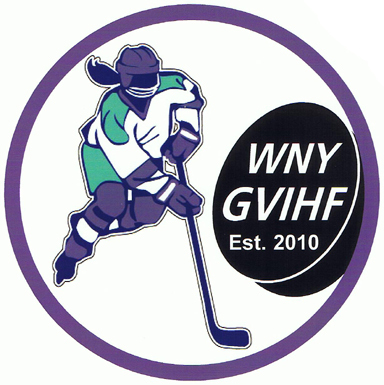 Girl's 4 Varsity Ice Hockey, started out as a group of dedicated parents, supporters and tax payers dedicated to seeing that school sponsored High School Ice Hockey became a reality in WNY. We wanted to make sure our girls' had opportunities to participate in scholastic sports are on a par with existing boy's programs. 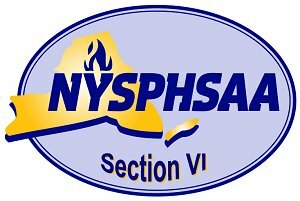 The parents, students and administrators of the following School Districts have shown a tremendous amount of support approving the formation of an official varsity high school hockey program in WNY. 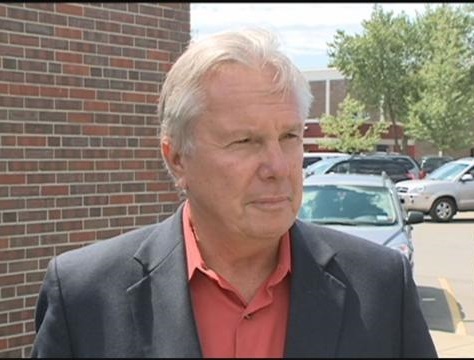 We especially wish to acknowledge the late Dr James Rusin, Director of Athletics of the Williamsville School District for spearheading the effort on the part of the school districts. 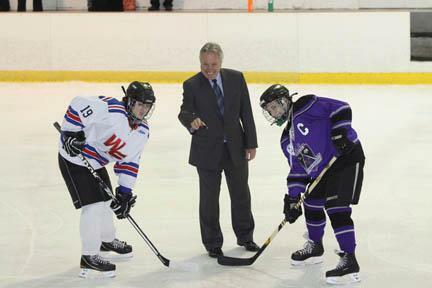 Dr Rusin Dropping The Puck For The Inaugural Girls Game!